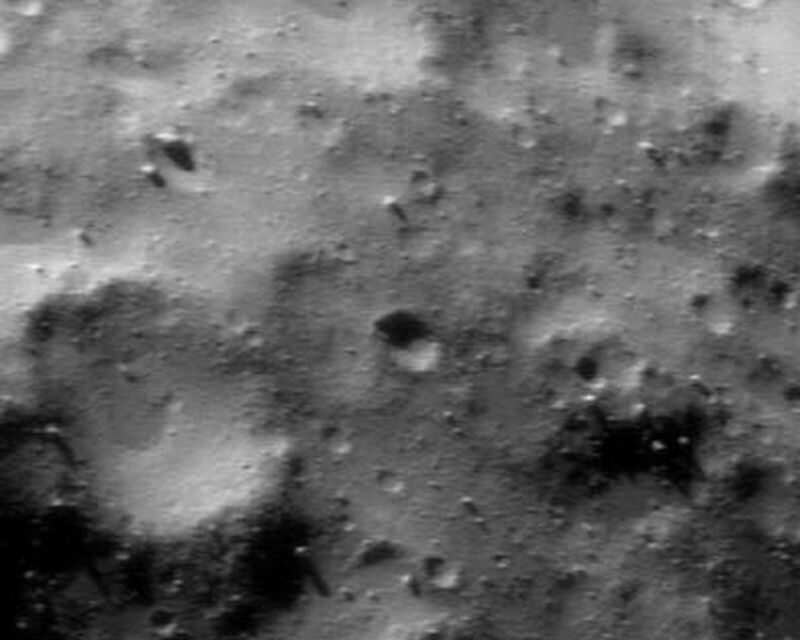 This picture of Eros, taken by NEAR Shoemaker on January 14, 2001, from an orbital altitude of 38 kilometers (24 miles), visually summarizes the unexpected nature of small-scale features on the asteroid's surface. 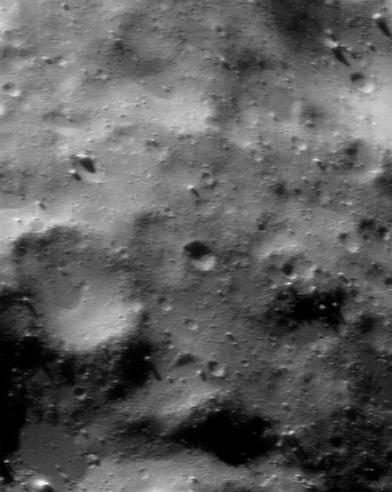 Armed with a prejudice that the Moon's surface is typical of an airless body, one might expect Eros' surface to be dominated at all scales by craters. 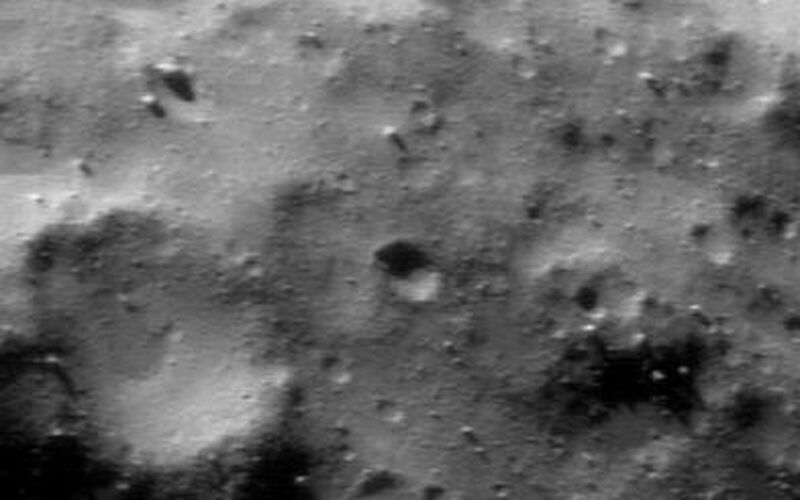 Instead, in an image like this, which shows features as small as 6 meters (19 feet) across, the surface is dominated by a blanket of regolith. Boulders litter the landscape, and the smallest craters are obscured - at times almost beyond recognition. Many of the low spots are extremely flat, and appear infilled. 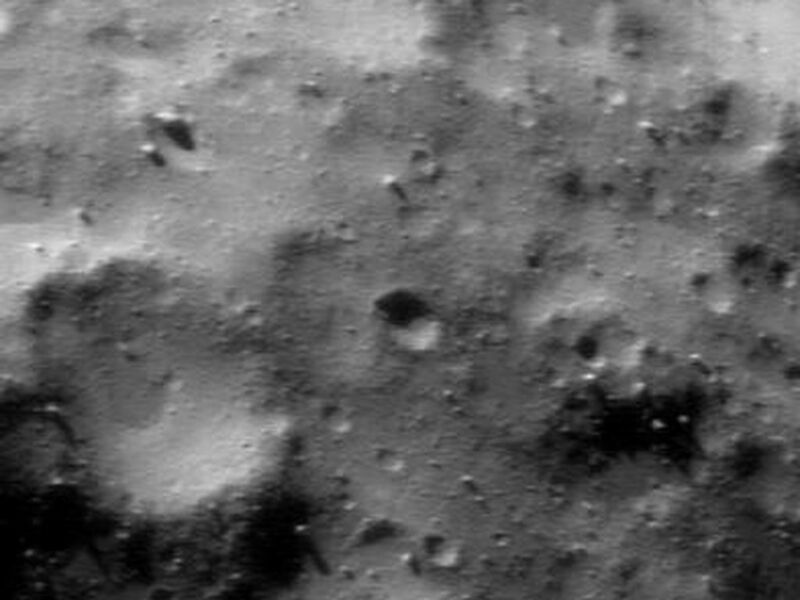 The whole scene is about 1.1 kilometers (0.7 miles) across.